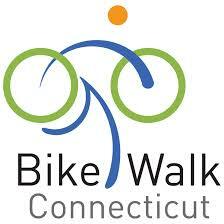 ​WHAT: Bike Walk CT volunteers are available to help lead a walk audit in your community. HOW CAN MY COMMUNITY GET ASSISTANCE? Email Bike Walk CT at bikewalkct@bikewalkct.org. We will reach out to our list of volunteers and try to find someone to assist you. We can't guarantee someone will always be available but we'll do our best to help! Please provide as much detail as possible about your project/study area, timeline, stakeholders etc. Please note, our volunteers are not available to help organize the events, solicit participants or provide follow-up reporting. If you're looking for something more extensive you may benefit from working with a private consultant. Walk audits are facilitated walks designed for an interdisciplinary group of community stakeholders with goals of education, inspiration and practical planning. Walk audits can foster an understanding among participants of how a pedestrian truly feels in the environments examined. WHAT ABOUT BIKE AUDITS OR OTHER, MORE EXTENSIVE HELP? Our volunteers have only been trained by Bike Walk CT to lead relatively simple Walk Audits. However, some of them may be able to assist with more, depending on their availability and skill set. Your community/organization may also benefit from a paid consultant. 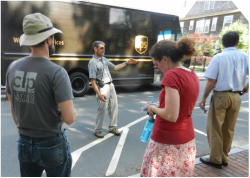 On June 2, 2016, Bike Walk CT (with support from CT Dept of Public Health) trained 15 advocates and transportation professionals in how to lead a walk audit. ​Participants, (who were selected from applications received through bikewalkct.org in April 2016) have all agreed to volunteer their time to help communities throughout Connecticut systematically assess how comfortable, accessible, and attractive their pedestrian environments are -- and, importantly, what can be done to make them better.